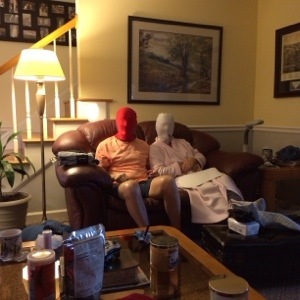 Today is Christmas, and I’m pretty sure my family handles this day just like everyone else; however, I doubt your parents donned morph suits this morning. Mine did. Either I’m still a kid, or this cold I have kept me up all night. Part of me thinks I still have that can’t-wait-until-Christmas-morning thing. Now, I get really excited about giving my family the gifts I picked. Whatever it was, I slept very little last night. I was the first one up at 5:30 a.m., so my coffee drinking started very early. Like my students, my brother is also familiar with my affinity for coffee. 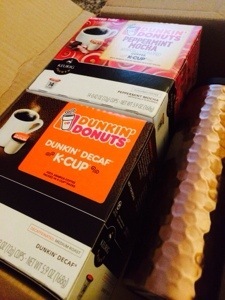 He got me a box of k-cups and a mug I picked out at Starbucks. Everyone seemed to enjoy the morning. My dad opened a GPS antenna for his boat. 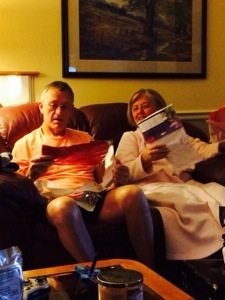 My brother and I bought my mom a food processor, and my brother got some headphones and other goodies. Here are my favorites that I will be taking back to Myrtle Beach! 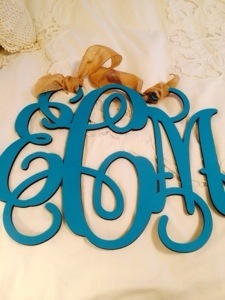 I’ve been wanting one of these monogrammed cut-outs for my front door for a while. I actually have a few necklaces like this, too. JW Gifts makes many different cut-out designs in all sizes. Best of all, the pieces are affordable. Visit the Etsy store here! 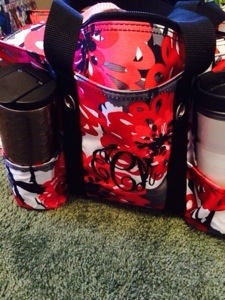 My brother picked out this great bag from the Thirty-one collection. He did such great job–even had it monogrammed! Since I’ve let my guard down a little on the healthy eating front these last few weeks, this will be most helpful. 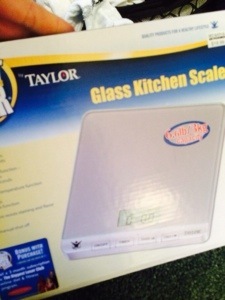 My mom found the Biggest Loser food scale at Bed Bath and Beyond. I’m looking forward to making sure my four ounces of meat is, in fact, only four ounces! All the food is eaten and the presents are opened. I’m looking forward to a Christmas run and a Christmas nap! 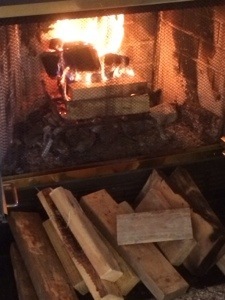 In the meantime, we will all sit by the fire and be thankful–and be full of eggs and cheese.